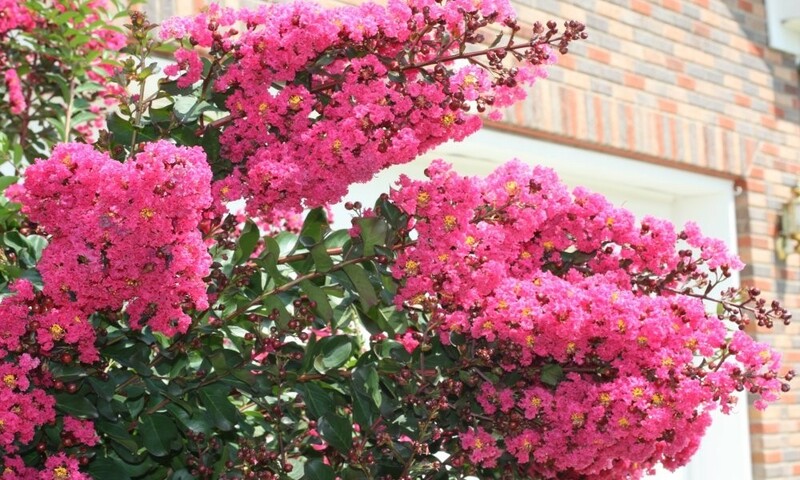 A new form of the well known Crape myrtle bred for cold hardiness, as well as flower power - even in a typical British summer, where older varieties may not have prospered in the past. Pink Velour has sensational pink flowers above dark green leaves. The plante become smothered in bloom for long periods from June to September. Gold-orange foliage in Autumn adds yet more seasonal interest to this magnificent Crepe Myrtle. 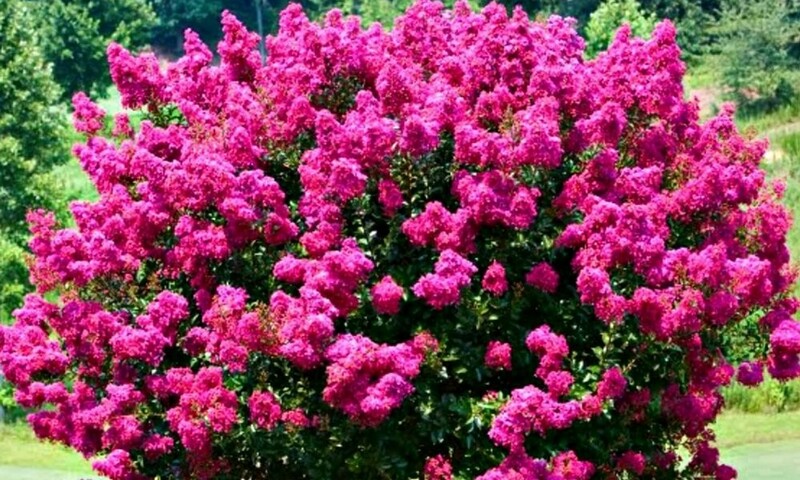 It will form a good sized shrub or small tree in a sunny spot, or is also ideal for large pots. A fine specimen for a sheltered sunny border or exotic garden. Supplied in approx 1 litre containers.